When it comes to beauty and caring for your skin, natural is always the best way to go – with bigger beauty brands coming to that realization today. With your skin being the largest organ on your body, it is important to always give it the best care you can. One way would be to only use the most natural ingredients when it comes to cleansing, moisturizing or treating your skin. Battling with skin concerns? You’ll be happy to know that the answer to your skin concerns is on the shelves. They’re actually right in your kitchen. All-natural beauty products are not only safer for your skin, but they also come with a much lower price tag. Read on for our top all-natural beauty products – all of which are currently in your kitchen cupboard. Aloe vera is commonly used in smoothies or fruit dessert, but that doesn’t mean its healing properties have gone unnoticed. It’s used in beauty products due to its ability to moisturize and stimulate new cell growth. That being said, using aloe vera on your face is sure to provide you with a smooth, glowing appearance. When using aloe vera, simply cut and peel its leaf so that you can get to the gel inside. This gel is rich in vitamins and antioxidants. Once the gel has been exposed, you can apply it to your skin cleansed face. There’s a reason why avocado masks are so popular. Present in most kitchens due to it being a great source of healthy fats, avocados can help you achieve glowing skin due to its vitamin A content. Vitamin A helps to reduce the appearance of wrinkles and fine lines whilst helping the skin retain moisture. Its antioxidant content also allows it to fight off free radicals, thus preventing premature aging of the skin. 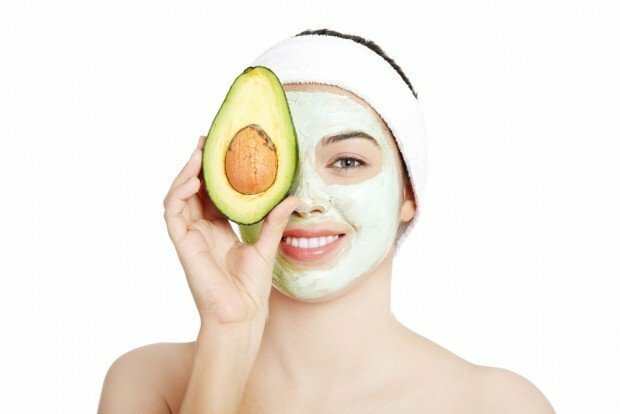 When creating an avocado mask, simply mash up an avocado before applying it on your skin and only rinsing it after 15-20 minutes. Not only are bananas very rich in vitamin A, but they’re also a good source of vitamin C. This then helps to boost the production of collagen. Collagen is a protein in the body responsible for helping the skin remain firm and smooth. Moreover, vitamin C, along with vitamin A, can help fight off the aging effects of free radicals. If you want to create a natural glow, mash up a banana and leave it on your face for twenty minutes before washing it off. Buttermilk is essentially a form of fermented skim milk that contains lactic acid. 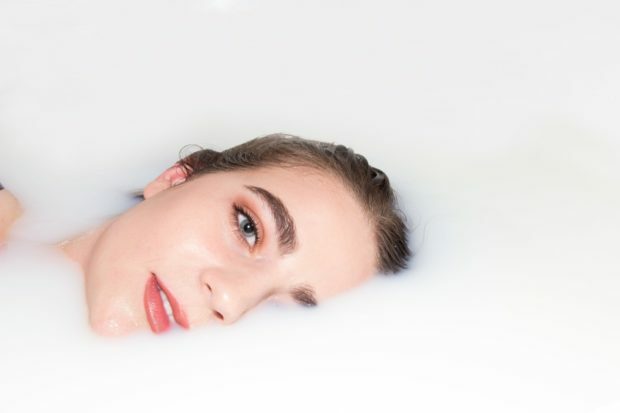 Lactic acid is a face acid found in a number of beauty products due to its ability to exfoliate the skin and reduce the appearance of aging and acne breakouts. When using buttermilk for your skin, dip a washcloth in it before wiping your face with the cloth. Be sure to rinse your face once you’re done. While the jury is still out on the effects of cooking with coconut oil, incorporating it in your skin care routine would be a wise decision (1). And this is certainly not new. 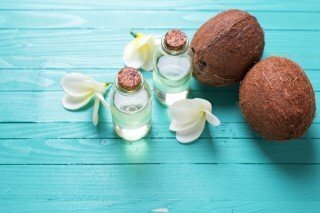 For centuries now, coconut oil has been featured as a star ingredient in Polynesian and Hawaiian beauty regimes, taking care of everything from dry skin and frizzy hair to sensitive baby skin. They even used it in perfume and lathered their bodies with the famous monoï mixture of coconut oil and the Tiare flower. Aside from being naturally rich in collagen, coconut oil also contains antioxidant and anti-inflammatory properties. Thus it is great for dry skin and it can be used as a makeup remover, moisturizer, and even a hair cream. Cucumbers are a good source of vitamin C but they’re also a popular water-rich food due to their hydrating properties. You can slice cucumbers into two pieces before being placed over tired eyes. 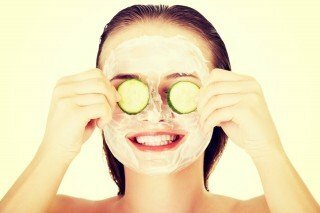 In doing so, the cucumbers will not only help to alleviate eye bags and puffiness but they will also help to moisturize the eye area. One of my favorite fruits, the vitamin E content in grapes makes them a great natural beauty product. Aside from fighting off free-radicals, vitamin E also reduces the appearance of scars by encouraging the production of new skin cells. After you’ve had your serving of grapes, mash a handful of them. You then dip a cotton ball into the juice and wipe it across your face. Be sure to wash it off after a few minutes. A favorite sugar alternative, honey’s antioxidant content allows it to slow down the aging process. Moreover, honey also contains antibacterial properties thus it can unclog pores and help prevent breakouts. 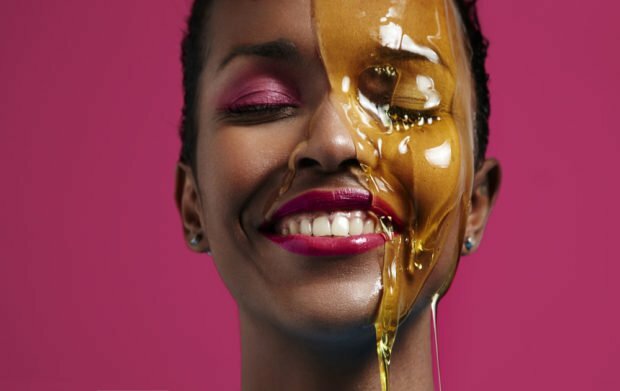 Click here for more on how honey makes your skin appear much sweeter. This is one product that is a staple in both the kitchen and beauty cupboards. Often used as cooking oil or alternative to butter spread, shea butter is an ingredient present in a number of skin care products. Rich in vitamins A and F, shea butter helps to alleviate dry skin, reduce the appearance of wrinkles and fine lines as well as promote the production of new skin cells – which then creates a youthful appearance. Shea butter can be used straight from its packaging as a moisturizer, on cracked heels, dry cuticles and even as a hair treatment. 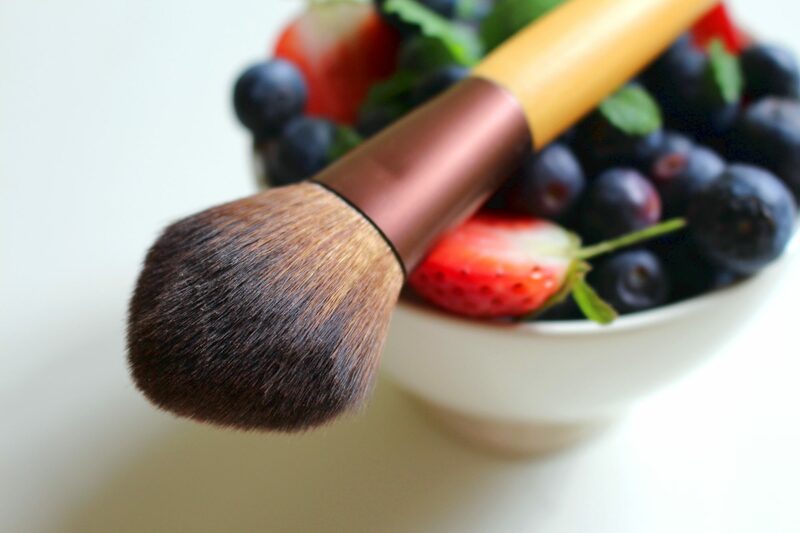 An antioxidant-rich staple of the Mediterranean diet, olive oil is exactly what your beauty routine was missing. Its vitamin E content will help to promote the growth of new cells whereas its linoleic acid content serves to keep the skin hydrated. 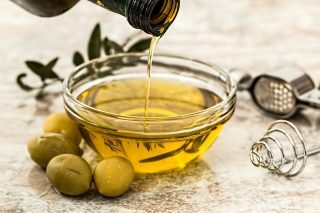 Applying a few drops of olive oil onto your skin’s dry patches or massaging said drops in a circular motion on your face is sure to leave it both moisturized and hydrated. While you can find a wide range of beauty products in your kitchen, they may not address all of your skin concerns. That being said, click here for our product review article where we discuss the best and latest in beauty.